1) Rich with estrogen where it plays an important role to produce the suitable environment for fertilization, implantation and nutrition of the early embryo. And there are many other benefits (you can find the info on the net) but be extra careful on the informations supply by unauthorized person especially those who selling it on the blog. I advise you to seek information from experts or doctors. 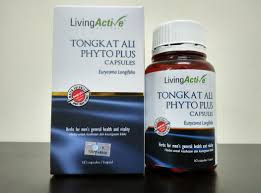 There are many brands of EKF out there but I choose the EKF Phyto Plus by UTM as I know it is scientifically developed by Universiti Teknologi Malaysia and approved by the Ministry of Health (MOH). I am currently consuming EKF and the 'dryness' now has gone, yeay! I feel like having my big O as well, as yesterday I experience the mid-cycle cramping. I guess the EKF works!